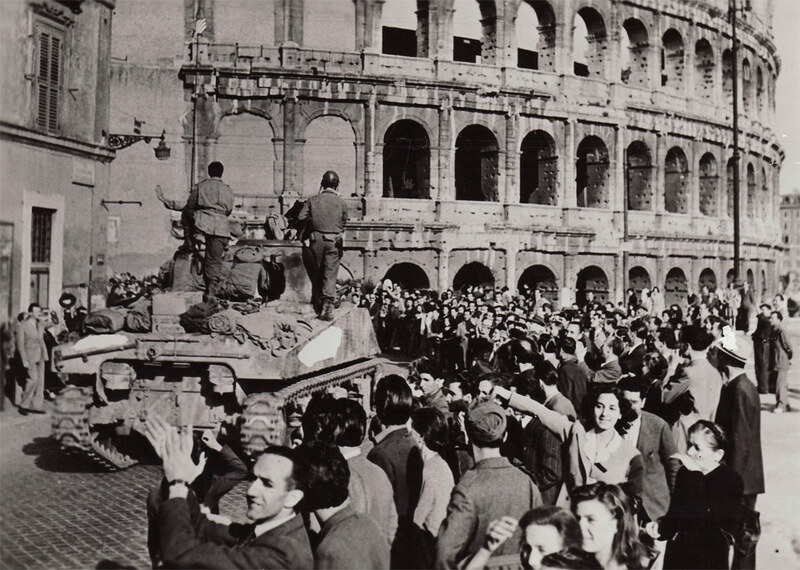 The Allies marched into Rome on June 4, 1944. Some years ago I asked a US army veteran who was there about his experience. American troops came into town through the Porta San Giovanni. 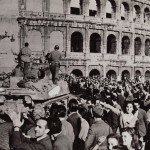 They marched past the Colosseum, down the Via of the Imperial Forums, and then they swung by the Campidoglio or Capitoline Hill, where General Mark Clark, Commander of the Fifth Army, officially declared the Americans in possession of Rome. It was a stirring sight, but then, a march on Rome always has been, whether the victor is a claimant to the imperial purple or a revolutionary or a vandal. Ironically, the Americans chose the wrong target. The Allies made a classic military mistake when they took the city. They captured the enemy’s capital instead of his army, thereby missing what Clausewitz calls the enemy’s center of gravity. Meanwhile, the Germans fought well before Rome and then retreated in good order northward, fighting as they went. By failing to keep the pressure on north of Rome, the Allies gave the Germans time to regroup in the Apennine mountains to the north, which they turned into killing fields before finally yielding to the Allies, nearly a year later. The second irony of the liberation of Rome is what the Romans themselves made of it. The black-and-white photos of cheering crowds lining the Via del Corso or of a helmeted G.I. seated in his jeep, getting a kiss on the cheek from a wrinkled old woman in black before smiling onlookers, tell one story. The worried, hesitant looks of a clot of civilians, in another old photo, watching the Americans from a distance – as if to ask what the new invaders would be like – tell another story. The point came home to me in a conversation in Italy a few years back. I was speaking with a Roman lady who had been there. The mother of a friend, she told me that she remembered the war well. I told her about the cheering crowds. Liberation isn’t what it used to be, not when the liberation is of Rome in 1944. The Allies entered the city on June 4; the world thrilled to the news on June 5; and on June 6 it threw itself into the saga of D-Day in Normandy. For the American press, Italy became the forgotten front. The Romans remember, of course, that they had been liberated, but they remember primarily their own role. It’s only natural. Exhibits in the two floors of the museum detail the sacrifices of the Italian Resistance and the brutality to which the Nazis subjected them. The Allied Armies are mentioned here, but only briefly. A few miles away from the museum is Rome’s signature monument to the Second World War, outside the city at the Ardeatine Caves. It commemorates the brutal massacre in March 1944 of 355 Romans by the Nazis in retaliation for a terrorist attack by the Resistance. Located near the ancient Appian Way, an area of catacombs and martyr shrines, it is a memorial to modern-day Italian heroes, but not to the Allies. The Romans have kept their honor for themselves. Who’s to say that they don’t deserve it?